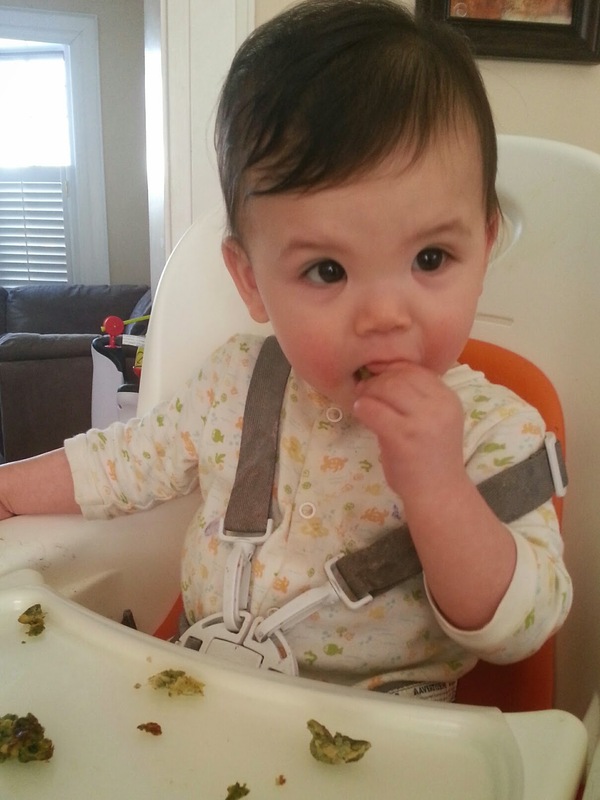 My 10-month old is going through a “I want to feed myself” phase. So considering he can’t use a spoon yet, his food needs to be easy to hold (and ideally, for me, not so messy). This banana pancake is our fav so far, and you can easily add veggies! Heat coconut oil in a small frying pan on low-medium heat. In a bowl, mash the banana with a fork. Beat in egg. Mix in the purée. Pour mixture in frying pan. When side is cooked (about 3-5 min), flip and cook other side. Let cool. Break up in small pieces and serve. Enjoy!